Like all YouTube content, the ads shown with this video are chosen by YouTube and do not reflect the opinions of the Freezer Challenge organizers. The International Institute for Sustainable Laboratories (I2SL) and My Green Lab have partnered together again to run the 2019 International Laboratory Freezer Challenge. Are you up for the challenge? If your lab uses ultra-ultra low temperature freezers (-150C), ultra-low temperature freezers (-80C), lab freezers (-40C to -20C), refrigerators, or cold rooms, you can earn points simply by taking the actions listed below. Earn 1 point for each action taken per refrigeration unit. Labs will also earn points for sharing information about their own best practices regarding sample storage and inventory. ​Awards will be given to those who have done the most to save energy and improve their sample storage. The Freezer Challenge will take place between December 2018 and May 2019. 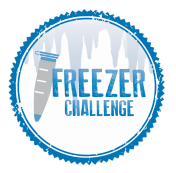 Freezer Challenge score sheets will be made available in mid-December, or upon registration. Completed Score Sheets are due by ​May 1, 2019. Reduced costs associated with maintaining refrigeration units. Improved researcher access to laboratory samples and reagents. Development of ongoing cold storage management practices that support efficiency and maximize space utility.